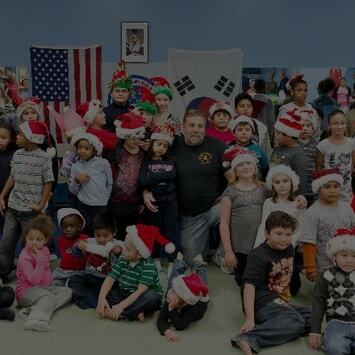 The West Haven Academy of Karate, Inc., is the oldest full-time martial arts institution serving Southern Connecticut area. Established in 1975, the Academy believes in traditional values. 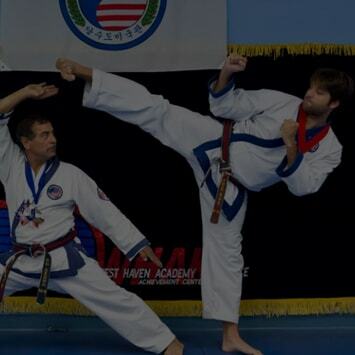 We teach the classical art of Tang Soo Do Mi Guk Kwan (The American School of the Way of the Empty Hand Defense) which was founded by Grandmaster and chief instructor Charles J. Ferraro. We augment our training in Tang Soo Do with the art of Hai Dong Gumdo (the Way of the Korean Sword), Aikido, Jui-jutsu, Tai Chi and Philippine Martial Arts (Kali, Escrima, Arnis). We are not bound or limited by outdated traditions and methods that are no longer effective. 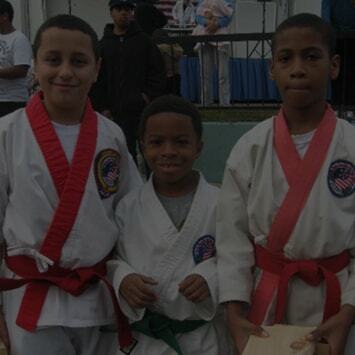 We believe in fostering the principles of respect and discipline, long considered cornerstones for the martial arts. In this manner our students can fulfill the purpose of our art, that being the development of every aspect of the "self". This will result in an individual who totally integrates his/her intellect, body, emotions and spirit. This integration helps to create a person who is free from inner conflict and who can deal with the outside world in a mature, intelligent, forthright and virtuous manner. We here at the West Haven Academy of Karate are very concerned..